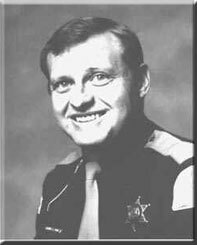 Dennis L. "Dee" Lund accepted a position as Security Officer with the Utah Highway Patrol, on April 21, 1986. He was promoted to Trooper in September 1987 and transferred to Hanksville, Utah. He later transferred to Green River, Utah. On June 16, 1993, Trooper Lund was assisting officers who were attempting to stop a stolen vehicle from Indiana which had also been involved in a gas skip at Thompson, Utah. During a high speed pursuit on I-70, three Troopers of the UHP were fired upon. One of the rounds passed through Trooper Lund’s windshield and struck him in the head, killing Trooper Lund. Two suspects age 16 and 18, were immediately taken into custody. Dee Lund was 37 years of age and was survived by his wife, Brenda, and two children.